There are some places on earth that are hard places, hard to get to, hard to enter and hard to work in. The land of the Koti people is one of those places on earth. 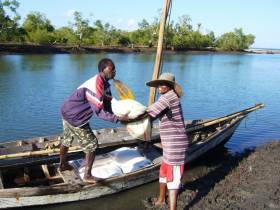 The Koti are a group of people with a very basic lifestyle on the coast of Mozambique. Their children grow up in poverty, living in the sand and eating fish. 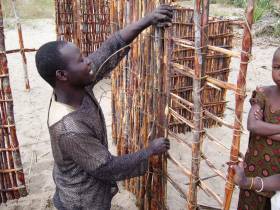 The Koti were previously an unreached people group until the work commenced in August 1998. 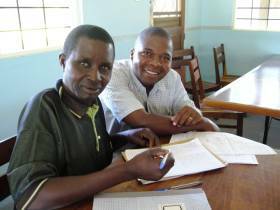 The work is led by Koti men and their vision is to take the gospel to every island and village in the Angoche District to establish congregations of disciples in each community. A church from Japan sent a team to become involved in this area towards the end of the 1990's. Around 2003 a significant explosion of growth occurred for the next few years. This created many new opportunities for impact and expansion. After hearing about the work from key people, it was not hard to decide to become involved. Bright Hope World commenced support for this work in April 2006. Most of the key people are fishermen around the mangroves near Angoche. Their fishing helps sustain them but they need a small amount of subsidy so they can be involved in Christian outreach work among their people. There are a number of levels of support, depending on the amount of time the people devote to the work. 2) Ensuring that the key people are able to meet every week from all around the district for training. They come into Angoche, spend the day learning and then go back out with new understandings and resources. Joe Graham is the key person Bright Hope World deals with in regard to this project. He was sent from a church in Japan. 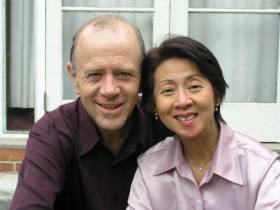 Joe is a New Zealander and his wife Jenny is Malaysian. They both completed degrees in Sociology from Canterbury University and attended City New Life Church in Christchurch. They have been involved with church planting for many years. This project is affiliated with a church in Japan that had been solely supporting the project up until April 2006 when Bright Hope World also became involved with support. The work had grown so quickly that the church could not sustain it and had reached their limit of how much they could support this project. Currently Bright Hope World is providing financial support for 50 evangelists and bicycles. AA was a wild and violent husband until he met the Lord. He totally repented and returned to his wife and children. His family has been transformed and is a great testimony and model to others. Right now the leaders are helping the people, in most of the congregations, through teachings on the family of faith from the book of Genesis and AA leads a lot of the studies because he ministers life not just theory. He and his wife go out together in evangelism – with a baby strapped to their back and other kids in tow. No other Koti people do things like that as couples! AA was baptized with his family in December 06. Jo and AA met a few days before when Jo was visiting another friend who lives on the same small island. AA came by and chatted with Jo and Jo shared with him from a booklet about Abraham’s sacrifice of Isaac. He was very interested and reproached Jo for visiting the other guy many times without sharing with AA about the Lord. Jo arranged to visit him again a few days later and he and his wife and three children decided to be baptized. Ali seems to have leadership potential and a better education than most of the Koti men. They have begun having one of the zonal training meetings as his house, with him hosting it rather than participating as a leader. We have great hopes that he will rise up to serve the Lord!